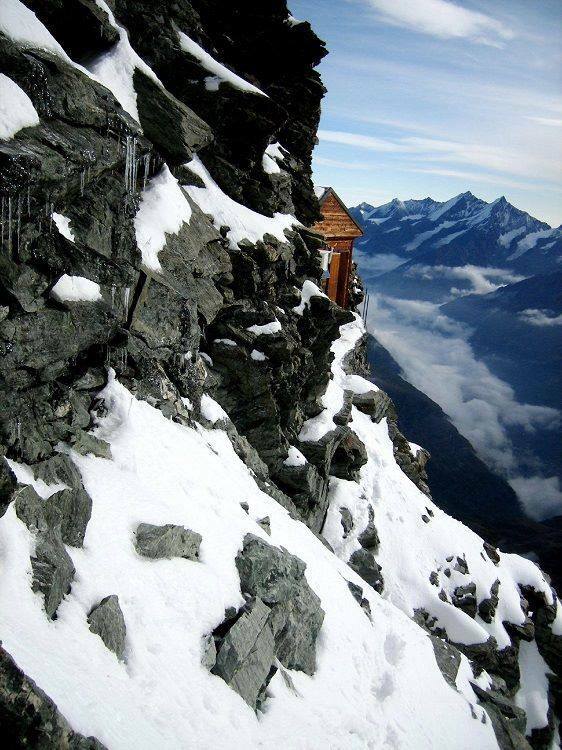 Matterhorn is one of the most storied peaks in the world. 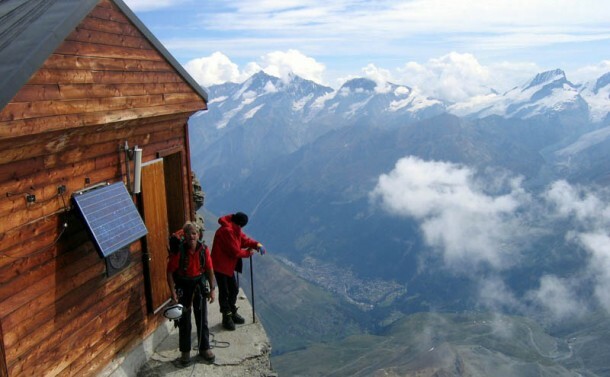 Despite being a relatively short stature summit with respect to giant ones like Everest, Godwin Austin K2 (Almost half the height Everest itself at 4480 meters), Matterhorn is the stuff of legend among mountaineers because it was the scaling of this peak that triggered an international mountaineering phenomenon. For years and years, many attempts were made at the peak taking many lives. It wasn’t until 1865 that the peak finally surrendered and since then thousands of people have successfully climbed it including young children and some very aged people. 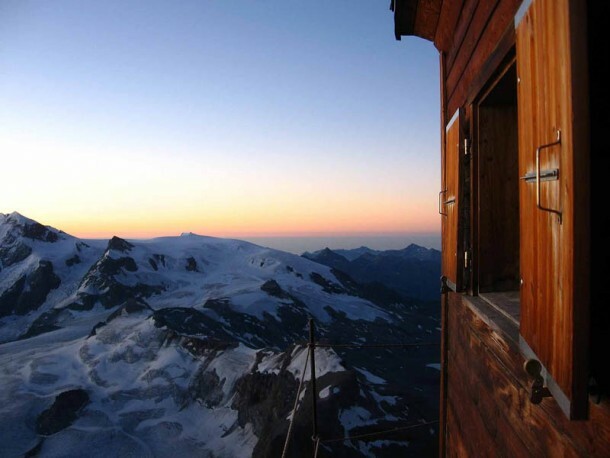 It lies near the border of Italy and Switzerland in the Alps. The East side of the mountain is the most photographed one as it presents a majestic view of the famed mountain. 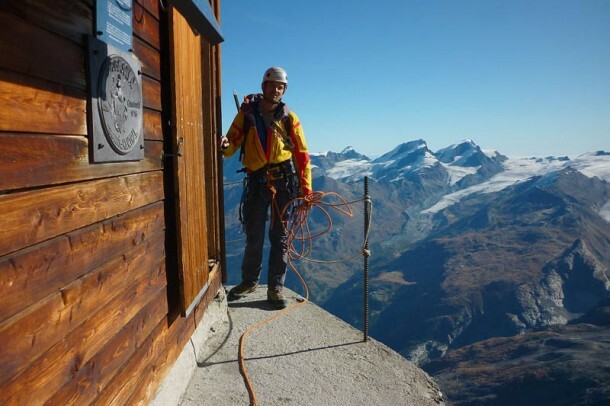 People are always thinking of crazy things to do at the Matterhorn with some of these attempts resulted in tragedy. A group of young men boasted about getting a cow to the summit but were later found frozen to death in the ridge below. But these were the intentions of lunatics. In 1915, another group of people had another crazy idea. 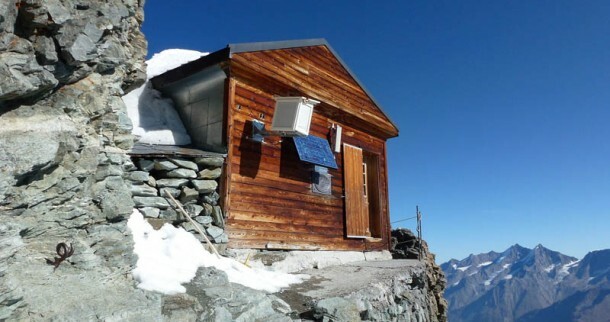 They wanted to construct a simple hut at a suitable location only 400 meters away from the peak itself.